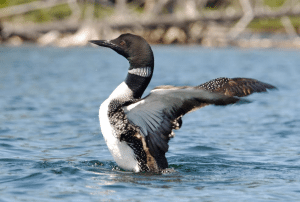 The Wildlife Conservation Society’s Adirondack Program has announced a call for volunteers to help census loons on Adirondack lakes as part of the 16th Annual Adirondack Loon Census taking place from 8 – 9 am on Saturday, July 16. With the help of local Adirondack residents and visitor volunteers, the census enables WCS to collect important data on the status of the breeding loon population in and around the Adirondack Park and across New York State. The results help guide management decisions and policies affecting loons. Census volunteers report on the number of adult and immature loons and loon chicks that they observe during the hour-long census. Similar loon censuses will be conducted in other states throughout the Northeast simultaneously, and inform a regional overview of the population’s current status. » Continue Reading. 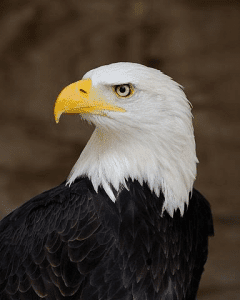 The State Department of Environmental Conservation (DEC) has announced a new conservation plan to manage New York’s population of the bald eagle. The Conservation Plan for Bald Eagles in New York State describes the historic status, restoration efforts and current status of the bald eagle in the state and provides guidelines for future management actions. A draft of the plan was released in February 2015; more than 120 comments were received. The bald eagle, currently listed as a threatened species in New York, continues to make recover across the state. The Conservation Plan serves as a guide for landowners, resource managers, local government agencies, and other stakeholders to manage and perpetuate the bald eagle and its habitat in New York. This plan also informs the public of actions recommended to achieve the goal of a sustainable, healthy bald eagle population, including its essential habitat and the ecosystems it depends upon. » Continue Reading. Every summer, Rensselaer Polytechnic Institute’s Darrin Fresh Water Institute and the Historical Society of Bolton co-host a series of free presentations on the natural and cultural history of Lake George and the Adirondacks. This year’s series is especially diverse and its presenters are widely recognized for their expertise, said David G. Diehl, the Fresh Water Institute’s site manager and the organizer of the series. » Continue Reading. Unlike the majority of birds, brown-headed cowbirds (Molothrus ater) do not start life surrounded by their own kind. 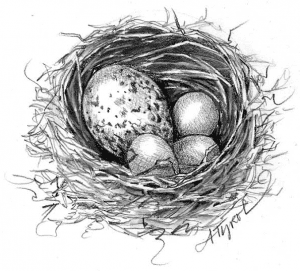 The females do not build nests, but instead add their eggs to the clutches of other birds—usually one per nest, but sometimes several. Host birds generally do not recognize the dumped egg and will tend to it and the hatchling as one of their own. This means that all baby cowbirds spend the first weeks of their lives in the company of warblers or cardinals or any one of the many species whose nests are parasitized. So why don’t they end up singing like cardinals? Or eating like warblers? 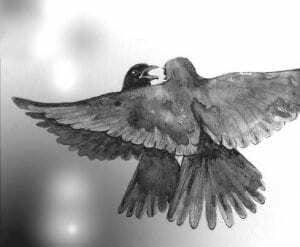 Why doesn’t the forest become their home if that is where they were hatched and fledged? In other words, how does a cowbird learn to be a cowbird? » Continue Reading. 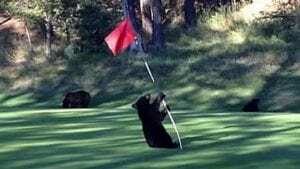 The Craig Wood Golf Club in Lake Placid will host a second golf tournament to benefit the Adirondack Wildlife Refuge on Friday, June 24th. Groups of one to four golfers may enter, single golfers will be paired up with other groups. The day will begin with breakfast at 9 am, tee time at 10, followed by lunch. There will be prizes and auctions for all sorts of gear, including a set of irons custom made by Andy Fawsett. Hit a hole in one, and win a car. Attendees will have the chance to meet birds of prey, along with Kiska, a young gray wolf, who’s known for making balls disappear. Local businesses still have time to sponsor a hole. » Continue Reading. Jack-in- the-pulpits (Arisaema triphyllum) are not the most colorful spring flowers, but what they lack in beauty they make up for in interesting characteristics. These easily-identified plants are full of surprises, from their ability to change from male to female (and back) to the bite of their calcium oxalate crystals, which can make your tongue feel like it’s full of burning splinters. Jack-in- the-pulpit surfaces in wet, shaded woodland areas in mid-spring as a purpley-brown spike, all tucked up within itself. As the days meander toward summer, this spike unfolds into leaves and flower, with the plants growing as tall as two feet. 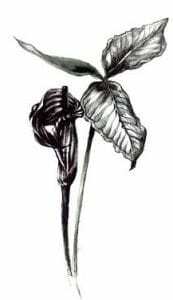 The floral anatomy here includes a spadix of tiny flowers contained within a hooded spathe: Jack enclosed within his pulpit. » Continue Reading. 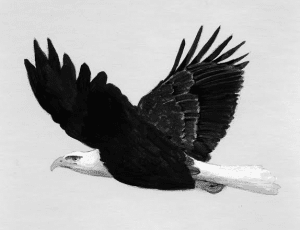 To the delight of all who revel in the grace and beauty of nature, bald eagles are soaring above the Northeast in numbers unseen for over a century. We’ve come a long way since the days when poor farming and logging practices denuded our forests, choking streams with silt and compromising the food chain. We now know that if you degrade the eagle’s habitat and pollute the water you affect the entire web of life, including fish-eating birds in the skies above. » Continue Reading. Just about everyone who saw the Walt Disney classic “Bambi” shed a tear, or at least stifled the urge to lacrimate (that’s cry in Scrabble-ese). 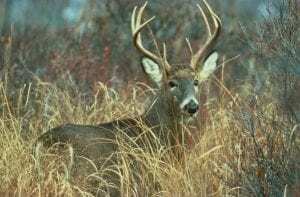 Even if I had known of the devastating effects deer have on forest regeneration, not to mention crops, landscapes and gardens, it still would have been a trauma for my five-year old self when Bambi’s mother got killed. (Oops—spoiler alert there, sorry.) But how might the movie have ended if they had all lived happily ever after? » Continue Reading. One morning in mid-March, I opened the door to discover a dark-eyed junco frenetically battling another bird. Or at least it thought it was another bird. His nemesis was, in fact, his own reflection in the stainless-steel chimney of my wood stove. The junco was perched on a bracket between the chimney and the house and every few seconds would flutter in front of his reflection and repeatedly peck it. The chimney was still cool, as I had started a fire only minutes before, but I assumed that eventually the heat would deter the bird from getting too close and that would be the end of that. But it wasn’t. The steel apparently never got hot enough, and the conflict raged on. » Continue Reading. 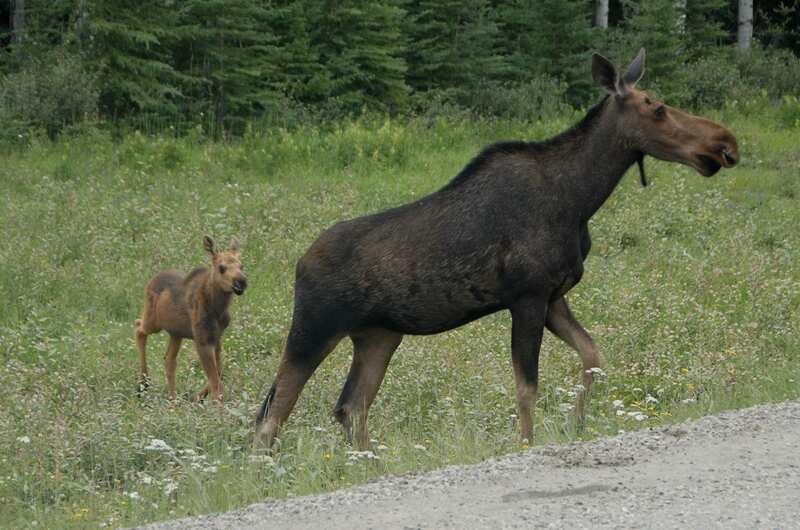 A pair of Adirondack moose were killed in separate motor vehicle accidents Friday night. The first incident occurred at about 8:30 p.m. on state Route 30, just north of the Meacham Lake Outlet. According to a state Department of Environmental Conservation statement, a female yearling moose was struck by an unknown vehicle. An environmental conservation police officer and a state police trooper responded to the scene and found the dead moose, according to the DEC. The officers reported seeing an adult moose standing in the nearby wetland. » Continue Reading. A loon trapped on a golf course in the northern Adirondacks got a helping hand from rescuers last week. 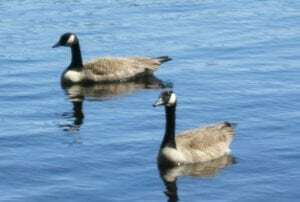 Nina Schoch, director of the Adirondack Center for Loon Conservation, said stormy weather during the night of Sunday, May 15, grounded the bird on the Saranac Inn Golf Club property, which is located northwest of Saranac Lake near the St. Regis Canoe Area. Areas of the northern Adirondacks experienced snow and high winds that night. » Continue Reading. 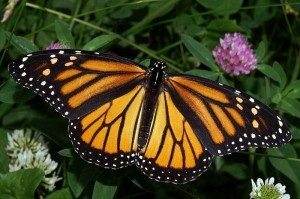 The journey of the monarch butterfly from the northeastern United States to the tropical forests in Mexico every fall is considered a magical one. How could such a lightweight, delicate looking insect survive a journey of more than 3,000 miles? 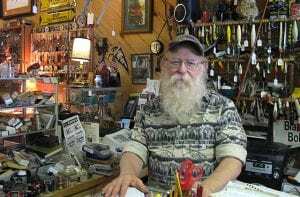 The feat has drawn the admiration of naturalists and others, including Dan Jenkins, who lives on the shores of Upper Saranac Lake. Jenkins’s property is located on what, he says, is a monarch flyway between Upper Saranac Lake and Raquette River. Because of that, he consistently sees monarchs passing through his yard in the fall as the insects head south. » Continue Reading. At a recent meeting I attended with other sportsmen, outdoor advocates and various environmental professionals, the topic of balance among the concerns of our lands and forests, wildlife, and people was being discussed. 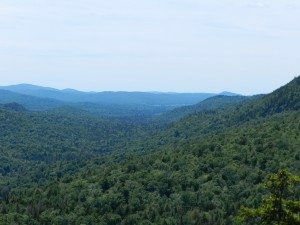 From the perspective of the New York State Conservation Council, there is nearly a complete loss of balance on state lands in the Adirondacks because of an overbearing philosophy within the forest preserve, the forever wild philosophy, and wilderness and wild forest classifications. Thus the carrying capacity for song birds, wild game and other species in the Adirondacks is severely lacking. » Continue Reading. Did you ever use your hands to scoop the air toward your nose when someone takes a pie out of the oven? 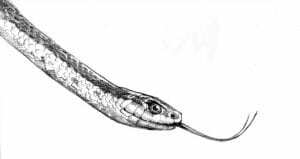 Snakes are doing the same thing when they flick their forked tongues. “They are manipulating the air, bringing chemicals from the air or the ground closer so they can figure out what kind of habitat they’re in, whether there are any predators nearby, and what food items are around,” explained biologist William Ryerson. This time of year, a number of our native species may also use their tongues to track the pheromone trails of potential mates, sometimes over long distances. » Continue Reading.